There is a star in everyone but it takes the right amount of effort and marketing to attain greatness. It’s a known fact that Showbiz industry strives on talented stars. Everyone in the world is unique and we all talented in some way. Entertainment industry has seen some brilliance when it comes to talented people around the globe. Recently I came across an organization which is creating youth icons shine in the showbiz world. 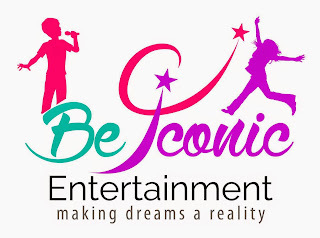 Be Iconic Entertainment is striking the cord with young talents and helping them to achieve their dream. They have created the right platform for the children which help them to showcase their skills in the entertainment industry. We caught up with the CEO of Be Iconic Entertainment - Fallon Moreno, who wants to make youths dream into reality. She emphasizes youths to dream and believe in their abilities which would lead them to glory. They provide proper guidance in developing one’s skill set by nurturing their talents with professional mentors. Checkout - www.facebook.com/beiconicfoundation for more information. Be Iconic Entertainment can guide if you believe in yourself and have the skills to achieve greatness in entertainment industry.